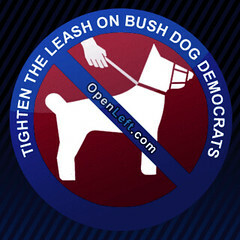 The activist-bloggers at openleft.com have launched a campaign targeting Bush Dog Democrats. You can read more here and here and join up here. Part of the campaign seeks to profile each of the identified Bush Dogs. You can find links to profiles of other Bush Dogs here. The following is a profile of Representative Earl Pomeroy. Earl Pomeroy (D-NPL) is currently serving his 8th term in congress. Pomeroy was born a North Dakota native in 1952. He holds a BA in political science and a law degree from the University of North Dakota. Today, Pomeroy lives in Mandan, North Dakota. The District: North Dakota has a single At-Large representative. Bush won the state with 63% of the vote in 2004, and the district has PVI score of 13 (+R) making it the fifth most Republican district of the Bush Dog candidates. At the level of state government, Republicans hold all but one statewide office and a sizable majority at the State House. Nevertheless Pomeroy won re-election with 65.5% of the vote in 2006. North Dakota also reliably elects two Democratic Nonpartisan League U.S. Senators. This is driven in part by a vein of prairie-populism that has long existed in North Dakota. The Year was 1992: Earl Pomeroy got his start in North Dakota politics in 1974 working as the driver for Byron Dorgan’s campaign for the U.S. House — the same seat that Pomeroy now holds. Dorgan lost his 1974 bid for congress, but was elected to the U.S. House in 1980. After finishing law school in 1979, Pomeroy beginning practicing law. He was elected to the North Dakota State House in 1980, and was re-elected two years later. In 1984 Pomeroy ran for North Dakota Insurance Commissioner. He was elected, and re-elected to the post 1988. In 1992 Pomeroy said he would not run for a third term as North Dakota Insurance Commissioner, and announced plans to become a Peace Corps volunteer in the former Soviet Union. At the time, he said a U.S. House race did not interest him. What followed is almost bizarre. First-term North Dakota Sen. Kent Conrad (D-NPL) was up for reelection in 1992. However, during his first campaign Conrad pledged that he would not run for re-election if the federal budget deficit had not fallen by the end of his term. By 1992 it became obvious that this would not be the case, and although hew likely could have gone back on his promise and still won reelection, Conrad considered his promise binding and did not run. North Dakota Congressman Byron Dorgan (D-NPL) ran for U.S. Senate to replace Senator Conrad. This left North Dokota’s At-Large U.S. House seat open, and Pomeroy was drawn back into electoral politics. He won the House seat, and has held the position ever since. Simultaneously, outgoing Senator Kent Conrad got an unusual opportunity to remain in the Senate. When long-serving North Dakota Senator Quentin Burdick (D-NPL) died in September of 1992 a special election was needed to fill the rest of the term. As this was not “running for re-election,” Conrad ran for and won election to the other Senate seat from North Dakota. In Congress, Pomeroy sits on both the House Agriculture Committee and Ways and Means Committee. Issues of Interest: Earl Pomeroy voted for the authorizing force in Iraq in 2002. In May of 2007 Pomeroy voted for H.R. 2206, authorizing more money for the Iraq war without putting any timelines or conditions on the Bush administration. Pomeroy also voted for S. 1927, expanding FISA and giving Bush the legal right to wiretap American citizens without a warrant. In July of 2007 a video of Pomeroy discussing impeachment of Bush with activists on the streets of Washington appeared online. The video sparked controversy in North Dakota, and Pomeroy subsequently apologized for referring to President Bush as a “clown” during the exchange. A very rural and largely agricultural state, farm bill politics is of significant importance in North Dakota. From 1995 to 2005 North Dakota received an estimated $7.04 billion in farm subsidy payments. 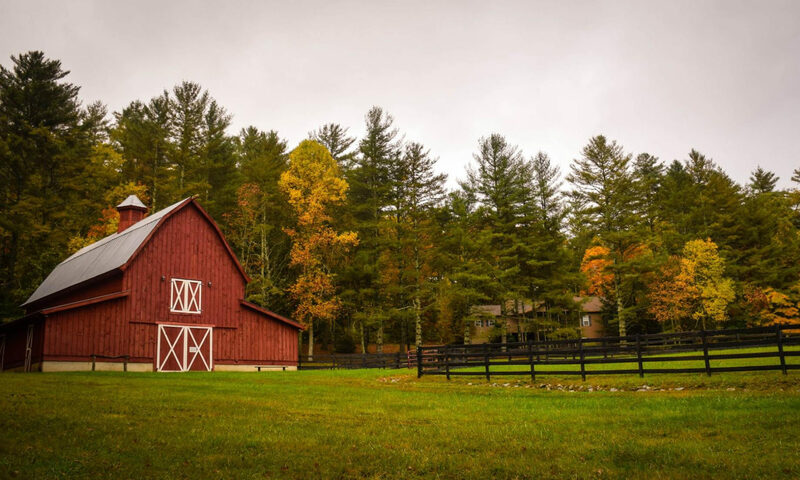 Originally intended to support small and mid-sized family farmers, farm subsidies are now widely credited with driving agriculture consolidation and contributing to rural out-migration. For this reason, farm program payment limits have overwhelming support amongst North Dakotans. Nevertheless, Pomeroy supported the House version of the 2007 Farm Bill that actually completely removes some existing payment limits and increases others limits. The liberal Americans for Democratic Action gave Pomeroy an 80% liberal voting record and the American Conservative Union gave him a 38% conservative voting record in 2006. Pomeroy’s ProgressivePunch.org scores range from 52-90%. Initial Impressions: The PVI is stacked against Pomeroy or any other potential candidate. However, the revival of populist-politics across the rural West creates an opportunity for the district. In North Dakota, the long history of the Non-Partisan League gives historical authority to rural populism. Earl Pomeroy knows some of the same rhetoric used by new darlings of the West such as Senator Jon Tester (D-MT). He needs to learn how to use that good-old-populist rhetoric to justify standing up and voting against the Bush Administration on issues such as the war and the invasion of personal liberty though expanded wiretapping authority. His constituents are already sympathetic to a populist argument for doing so. Rural Bush Dogs: Pomeroy is one of several Bush Dogs from primarily Rural Districts in the Midwest and West. Others include Stephanie Herseth Sandlin (SD-AL), John Salazar (CO-03), Zack Space (OH-18), Collin Peterson (MN-07), and Tim Walz (MN-01). Very good articles and I am also interested in that, please give some more details.